This high QUALITY official manual for FERRARI 1994-1999 F355 is 100 percents COMPLETE and INTACT, no MISSING, CORRUPT pages, sections to freak you out! This manual is exactly as described. It is in the cross-platform PDF document format so that it works like a charm on all kinds of devices. 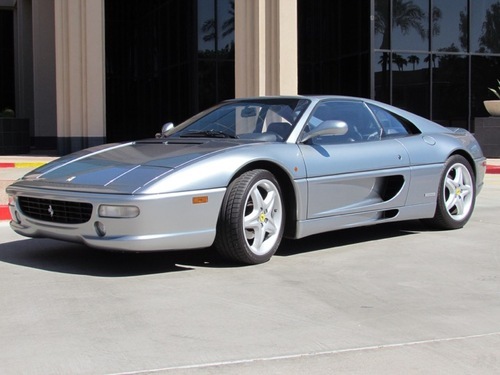 This highly detailed workshop service repair manual for download contains virtually everything you will ever need to repair, maintain, rebuild, refurbish or restore Your FERRARI 1994-1999 F355 (ALL MODELS ARE COVERED). All diagnostic and repair procedures and gives you access to the same information that professional technicians and mechanics have. You can view and print out the complete repair procedures with this workshop service repair manual Download - you do not need to be skilled with a computer. Before disassembling the gearbox parts, check the contact and the engagement clearance of the helical sour gear between pinion and crown wheel. Disassemble gearbox parts, wash components in solvent and blow with compressed air. Check housing and covers for cracks and ensure that roller bearing seats do not show signs of scoring or wear. Check that roller and ball bearings are still working properly. Replace if rolling is rough or noisy. Check that teeth profile surfaces are not worn or scratched. Surfaces must appear smooth and reveal uniform contact over the whole faces of the teeth. Check that needle bearing races and cages for idle gears on the main and secondary shaft do not show signs of abnormal wear or pitting. The radial clearance should not exceed the maximum value specified in the table. Check sleeve and fork grooves for wear. It is important that both fork contact surfaces on the sleeves remain perpendicular to the control rod axis (maximum axial run-out 0.05 mm). Inspect the idle gear and spacer working surfaces for signs of wear or seizure. Check the drive teeth of sleeves and idle gears for burrs or wear that could make engagement difficult. Use tool AV 2023 with support arm AM 106155 to hold gearbox housing during assembly.